T-shirts, totes, hoodies, tank tops & onesies: Ethically-sourced clothing featuring IMAGES from Sometimes the Spoon Runs Away With Another Spoon. You CHOOSE the item of clothing you want silk-screened. 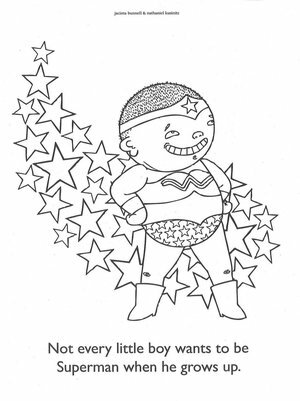 Postcard: image from Girls Are Not Chicks COLORING BOOK on a high-quality postcard that can be colored in. Great for coloring with colored pencils. Sticker: MARRIAGE IS SO GAY. image from Sometimes the Spoon Runs Away With Another Spoon ON 2"x 3" high-quality vinyl stickers.